Among the top agricultural regions of Quebec, Lanaudière deserves its nickname of « Green Region »! 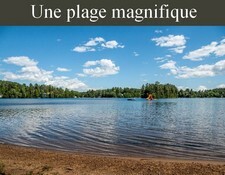 Verdant plain located in the softest climate zone of Quebec, Lanaudiere homes the widest and most fertile area of the Saint-Laurent lowlands, and is therefore an ideal breeding ground for agricultural activities! 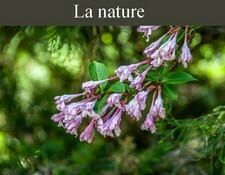 Lanaudiere, with its rare combination of soils, climates and landforms, between lakes and mountains, is a privileged place to find local products in a charming rural environment, while enjoying the harmonized colors and lines of its scenery. 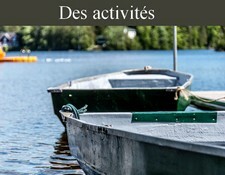 Lanaudiere offers you a wide range of activities to enjoy with family or friends! Ferme Guy Rivest Pick your own strawberries, raspberries and other berries, bring your family and have a picnic on-site. Visit the boutique and discover its home-made products: strawberry and raspberry wines, fine alcohol made from strawberries, fruit jams, marinades, syrups, caramel, butter and pearls. La Terre des bisons Visit this farm, its bisons and wapitis. Visit the boutique, with an on-site butcher, wich offers 100% natural products, such as gills, sausages, pâtés, tourtières, etc. Also offered: the farm’s famous TARTINMC as well as bison wool. Photograph the baby bisons and caress “BUFFY”, the domesticated female bison. Guided tours include tasting. 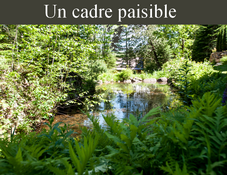 L’Arche de Noé On a charming site offering the purest tranquility, visit this farm which counts more than 15 animal species living in a half-freedom. Sucrerie des Aïeux The Sucrerie des Aïeux invites you to discover the transformation of maple products. You will find there: maple butter, candies, caramel, jelly, chocolate, soft and crusty bread, maple sugar pie, maple taffy and beautiful gift-baskets. 3794 Ch.Kildare (rte348), Rawdon. 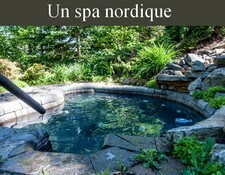 Bergerie des Neiges Established since 1985, winner of the Coup de Cœur du Public Provincial 2012 – Agrotourisme, Prix d’excellence de l’Association de l’agrotourisme et du tourisme gourmand. The 100% lam meat products are transformed at the farm: sausages, merguez, terrines, saucissons. The boutique, in the beautiful victorian, also offers wool and gift ideas around the theme of lamb. Nect’Art de Fleurs Discover fine products made from honey and maple syrup, offered in lovely jars and bottles, hand-painted by artists of the region. For visit: bee interpretation center, tasting and recipes boutique, Jean-Guy’s condo and his chicks, flower garden, gift shop. Simon Turcotte Confiturier For the pleasure of your papillae, for ten years this artisan has been conjugating a constantly renewed creativity and a respect for quality products in order to offer you delicious jellies and jams: Chinese five-spices strawberry, rhubarb and wild flowers, lemon and rosemary, etc. Miel de Chez-Nous Apiarian farm offering an entertaining and educative program, Miel de Chez-Nous allows you to discover the secret world of bees: visit of the rural shop, the interpretation center of bee (in a centenary house), the observation beehive and the naturalized bear. Free tasting. Ferme Gaétan Beaulieu et fils inc. This new blueberry farm welcomes you to the auto-picking starting from 8am to 5pm every day, from mid-july to end of august. 1160, 2e rang, Sainte-Mélanie. La Courgerie Hundreds of varieties of cucurbitaceae! Pascale and Pierre share their know-how regarding gardening and cooking gourds, zucchinis, melons and pumpkins. Discover extraordinary seasonal colors on a unique farm and buy delicious delicacies at the boutique. La Comtoiserie, bergerie laitière Feed the lambs and visit the nice shop, which offers food products (cheese, yogurts, etc. ), wool products (socks, scarfs, etc.) and cosmetics (creams, soaps, etc.). Chat with the shepherdess and discover the benefactions of ewe milk, recommended to people suffering from lactose intolerance, osteoporosis or cholesterol. Cochon cent façons Familial enterprise inspired by a long-term vision of the porcine production, Cochont cent façons takes charge of every step of the breeding and transformation of the pork to offer you a wide range of quality products: sausages, boudins, terrines, rillettes, ready-made meals, gourmet cuts, marinated meats for BBQ. La Ferme Perron Since 1981, farm Perron offers you a wide diversity of regional products: jams, marinades, pies, frozen fruits, honey, maple syrup and varied vegetables from the garden. Take part in auto-picking of delicious strawberries and raspberries! 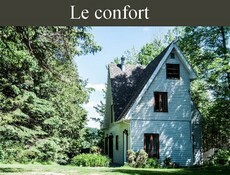 Ferme J.L. Leblanc For more than 50 years, farm J.L. Leblanc has welcomed you to its kiosk. Enjoy the pleasures of auto-picking in a familial atmosphere. Strawberry auto-picking: price by the liter. 2235, rang Bas-de-l’Église nord, Saint-Jacques. Canards Maurel-Coulombe Yvanne and Martin invite you at their farm, to a gourmet journey around the foie-gras duck, unique of its kind in Lanaudiere. Discover the secrets of an ancestral know-how, from the breeding of the ducklings to the elaboration of recipes. Get exceptional products recognized across Quebec: foie gras, confits, rillette, duck steaklet and many other discoveries that will enchant greenhorns and connoisseurs. Cuisine Poirier Visit and taste at Cuisine Poirier: orchard, maple grove, oil production and boutique which stars the farm’s products: first-pressure oil, apple juice and by-products, maple products, natural mayonnaises. Ferme de l’Art à la table At this ecological, artisanal, hormone-free breeding farm, get cuts of lamb, goat and grain-fed veal, ready-made meals, rillettes, spaghetti sauce, sugar pie and much more. At the farm’s snack bar, offer yourself a lamb burger or poutine, with French fries “cuites dans le swif”! La Ferme L’Oie d’Or Natural breeding farm, free of growth hormones, for quails, guinea fowls, ducks and gooses, the farm L’Oie d’or offers you fine and gourmet products: rillettes, terrines, sausages, foie gras and mousse, tourtières, duck saucisson and many other ready-made meals. Vignoble Saint-Gabriel Located in a charming environment, the vineyard Saint Gabriel, it is about : 29 000 vines, an immense wine cellar with a hundred french oak barrels, free tasting of reds, whites and rosés, each of them certified as biologic by Ecocert Canada. Visit the vineyard and the ancient tractors museum and get as well table grapes, lavender products and local products. Les Volailles d’Angèle Visit this small farmhouse of which mission is to offer to families worried about their alimentation, quality meats and transformed products (trans fat-free, gluten-free), such as grain-fed chicken, turkey, French guinea fowl and Muscovy duck. 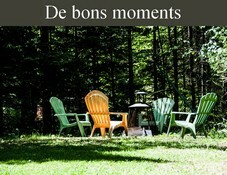 As well on-site: sausages, pâtés, tourtières, tourtes, rillettes, confit, smoked meats and delicious ready-made meals. Au Moulin Bleu The Moulin Bleu is recognized for its buckwheat flour which is unique in Quebec! Meet its artisans at the boutique and benefit from the halt to get more of their products. Domaine Des Trois Gourmands On a magnificent site, discover the diverse breeds (Highland cattle, rabbits, guinea fowls, pheasants, partridges, quails) and the maple production section. Learn about the different breeding methods for the different animals on the site. 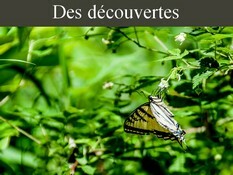 Make your provisions of local products or taste a delicious meal at the restaurant of the Domaine Des Trois Gourmands. La Lavande à Soi This agricultural enterprise specialised in lavender production invites you to roam through the lavender field and enjoy the magnificent colors and smells. Benefit from the panels of interpretation to demystify the lavender production. Get some home-made lavender products at the boutique.